attackers intensions and the target’s legal resources, most find these will be hard, if not impossible, to prosecute. 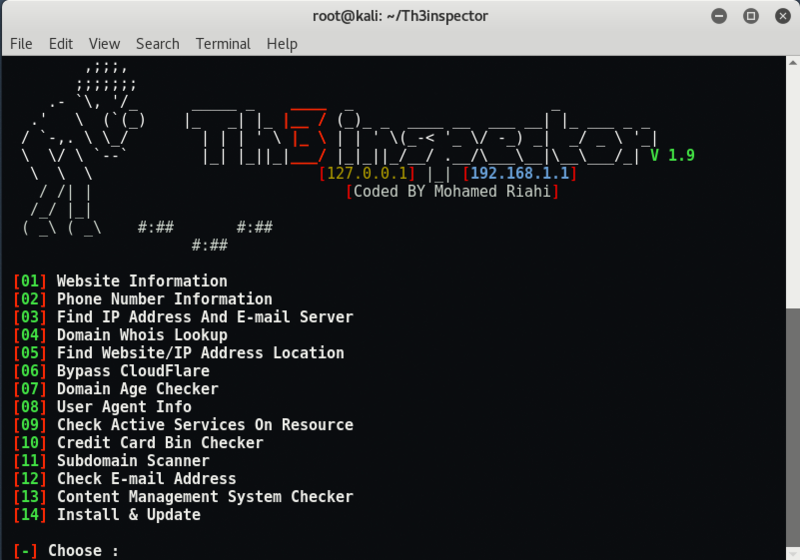 Th3inspector is an open source information gathering tool available on Github through which you can easily find much information about the target such as Server details, whois info, target IP, Phone number, email, sub-domains etc. 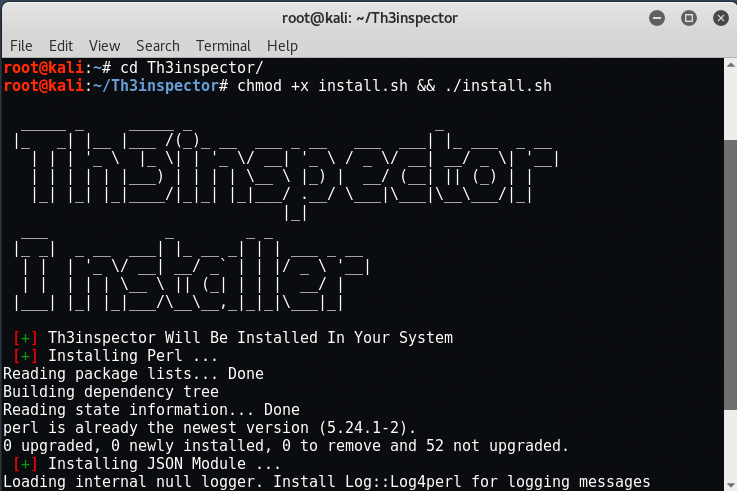 To run this tool, you need to give the executable permissions to the install.sh file by typing the following command in your terminal. 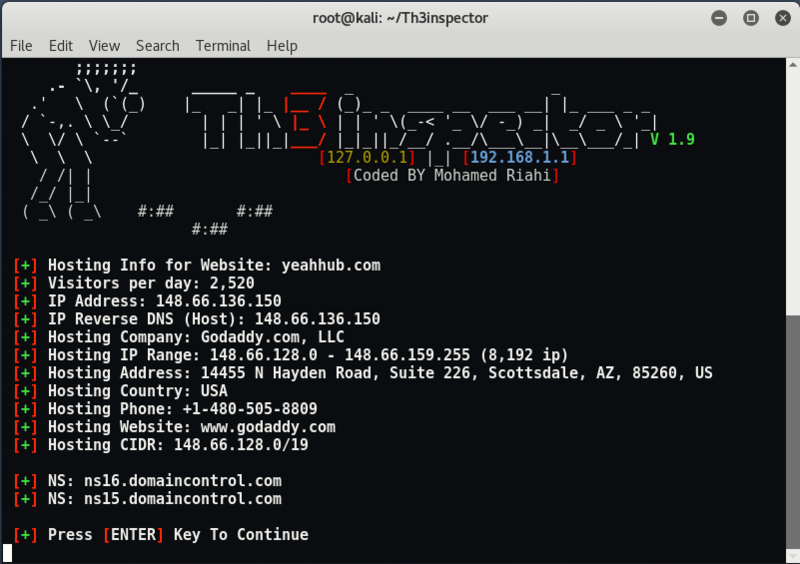 If want to know the domain age about any target, type .